for $299,900 with 4 bedrooms and 3 full baths, 1 half bath. This 2,980 square foot home was built in 1969 on a lot size of 0.2952 Acre(s). Welcome to the 'House on The HillÃ¢‚¬, a versatile classic-yet-modern New England split-level home with endless possibilities! This 4 BR/3.5 BA home has been thoughtfully updated and rests on an elevated lot in a quiet, friendly corner of Johnston. With almost ~3, 000 sqft of flexible use of indoor living space and over 1, 800 sqft of outdoor entertainment space including an elevated patio and inground pool. 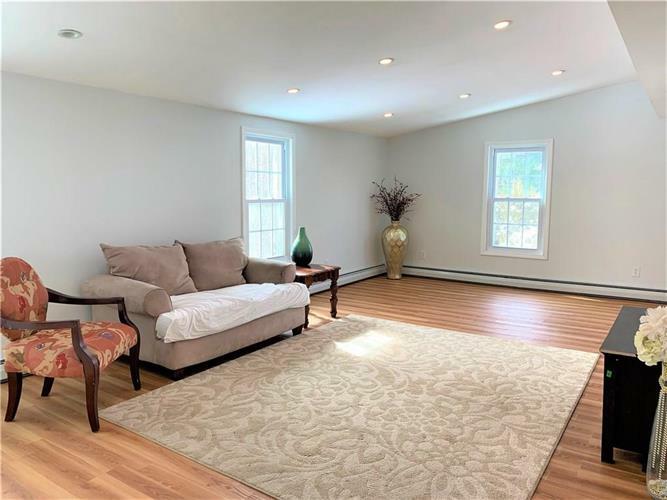 Home includes brand new stainless steel kitchen appliances and washer/dryer, new stone retaining wall, heated 2-car garage, as well as recently updated furnace and heating systems. Conveniently located 5-10 minutes from all major Johnston/Cranston/Smithfield shopping/convenience, 5 minutes to Route 6/10/295, and 10-15 minutes to 95/Downtown Providence/Airport. Won't Last!